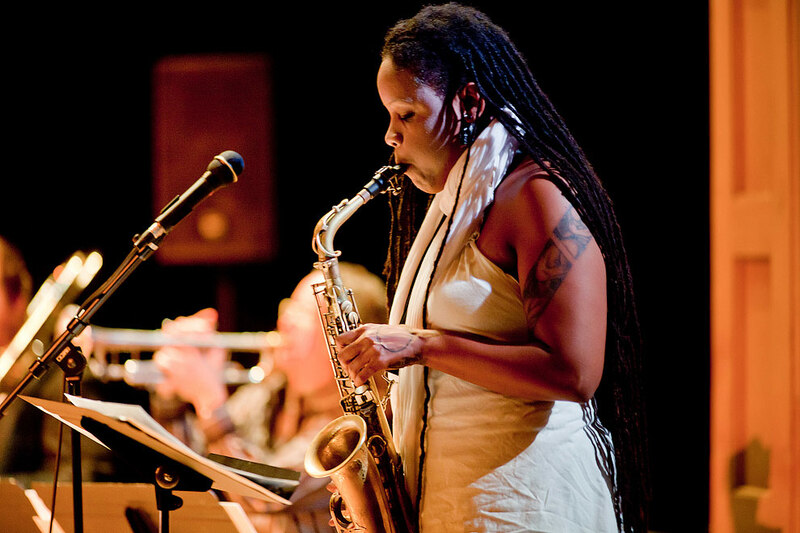 Saxophonist Matana Roberts brought her solo works and a series of ensemble pieces called “COIN COIN” to Seattle last Thursday night at the Chapel Performance Space. “COIN COIN” is inspired by her own research and examination of her family’s African American history over ten generations. 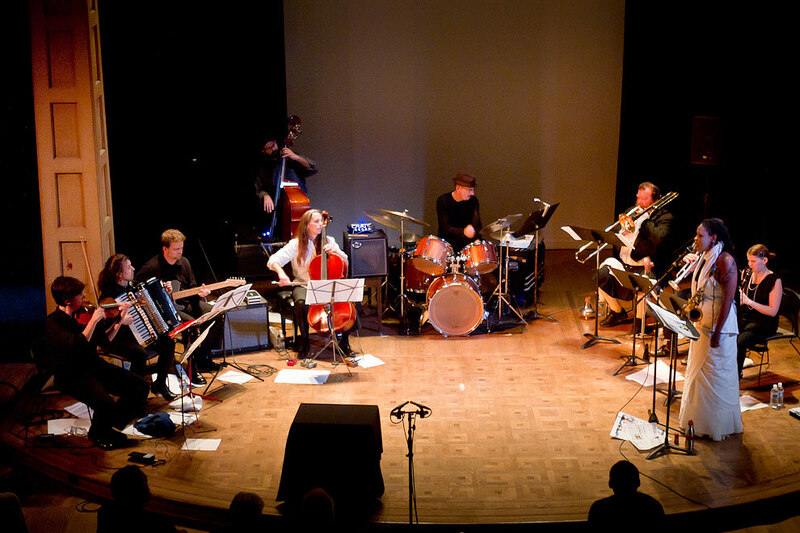 At the same time “COIN COIN” has also become a catalyst for collaboration with musicians in cities across the country. Tonight, she tries it out with a select group of Seattle soloists. Jazz Photography by Seattle photographer Daniel Sheehan creating portraits for publications and a Seattle Wedding Photographer with a photojournalist style.